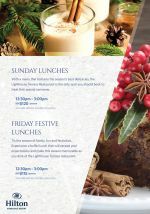 Fridays and Sundays at the Hilton just got a lot more festive this Christmas season! 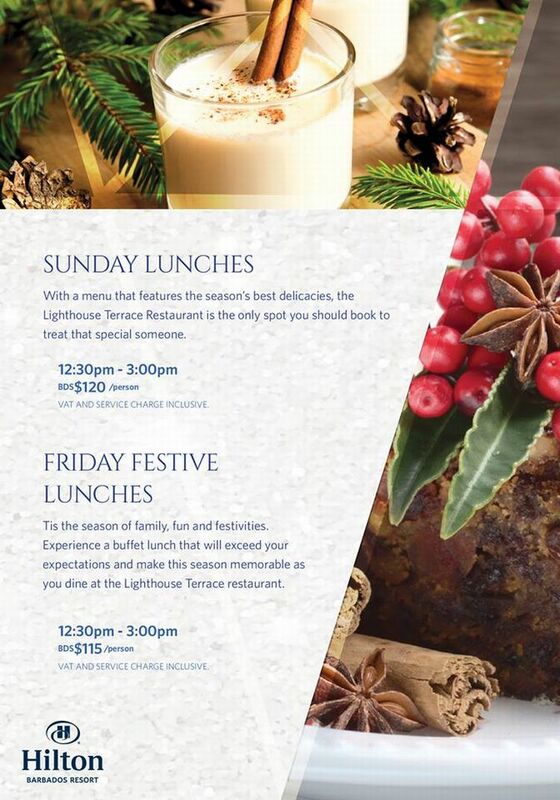 Bring all your loved ones and enjoy the season's best delicacies at the Lighthouse Terrace. Tantalise your taste buds with a lunch that will exceed your expectations and make the season memorable. Prices inclusive of VAT and Service Charge.